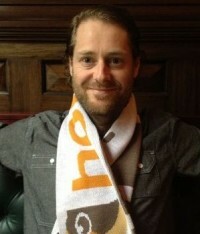 HootSuite CEO Ryan Holmes is featured on the Huffington Post’s Tech homepage today. Holmes, who has a regular column on the site, weighs in on the rapid growth of social media in large businesses and how to avoid an embarrassing meltdown. Holmes points out that corporate social media has exploded nearly overnight. Tasks handled by a single intern a few years ago are now managed by teams of dozens of employees, chiming in on Twitter, Facebook and other social networks. 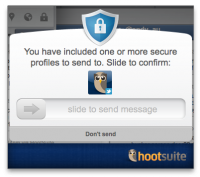 Right now, HootSuite’s enterprise clients have an average of 23 team members each. But the tools needed to harness the power of social media inside the workplace haven’t always kept up. Orchestrating large campaigns across multiple networks has been frustrating and inefficient. Keeping team members on message hasn’t always been easy. And rogue posts and embarrassing mistweets have caused social media managers a lot of sleepless nights (Like the time a Red Cross staffer accidentally tweeted a drinking story to the organization’s 268,000 followers). Thankfully, there is hope. Social media tools are finally catching up to the demands of corporate and enterprise users (HootSuite’s new Teams is a prime example). Advanced permission controls and collaboration features let big teams work together in ways that were impossible before. Managers can vet posts before publishing. Teams can be built organically and post across social networks. In short, social media is very quickly growing up – leaving the dorm room and entering the boardroom.